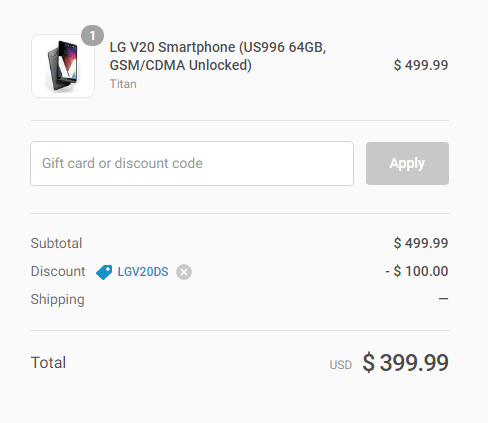 Last week, retailer B&H was offering the LG V20 for $399.99. In case you missed that deal for some reason, you’ll be glad to know that the device is again available for the same price. This time Daily Steals is offering the promo. It’s worth mentioning that the device is listed for $499.99, but you can bring this figure down to $399.99 by using the promo code LGV20DS at checkout. It’s the 64GB model (US996) that’s on offer. Color options include Titan and Silver. No information on when the deal ends, so those planning to avail it may have to act fast. Head to the Source link below for more information on the promo.